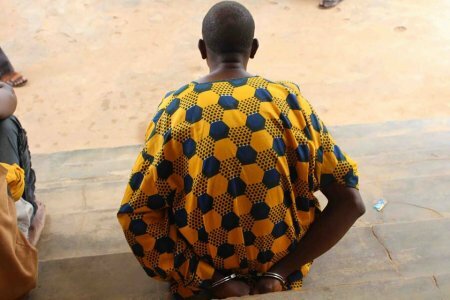 Mohammed Bashir, a member of the Boko Haram sect nabbed in Ondo state has confessed that he planned to attack in the state before his arrest. 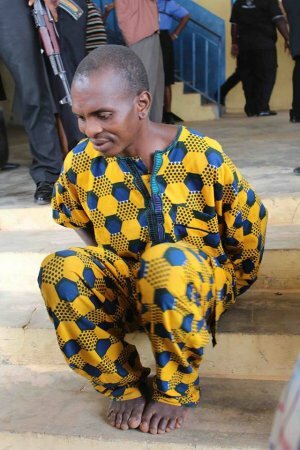 He was paraded in Akure, and confessed details into the activities of the terror group. According to him, certain wealthy northerners from Maiduguri and Nassarawa supplied Boko Haram with weapons. “I only killed two people. The first person was a little child who I murdered inside the bush while the second one was an adult I killed by the roadside. I ran into Ondo State from Nasarawa after the military launched a manhunt for us (Boko Haram) in the North. When I arrived in the state, I went straight to see my younger brother and decided to walk on the streets of the community. "I had planned to strike but first wanted to eat by the roadside when I was arrested by the police patrol team and moved down to their station. Some of our members who ran from the military are still scattered around the local communities in Ondo State," he said. 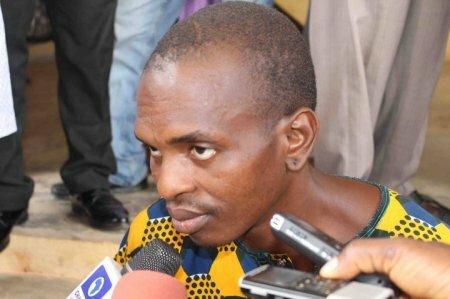 The Ondo state police commissioner, Adeyanju Gbenga said that Bashir was a native of Niger republic and that he was a follower of one Daffo, a close confident of the dreaded Boko Haram leader, Abubakar Shekau.